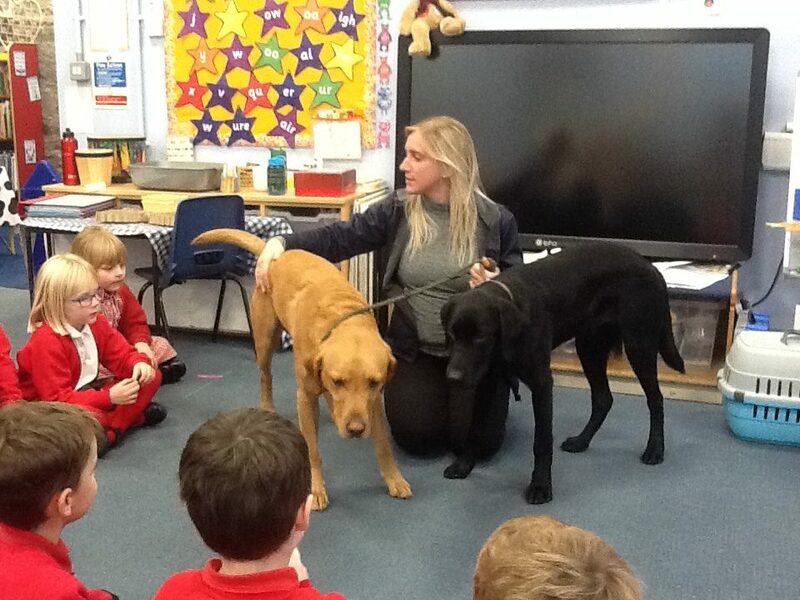 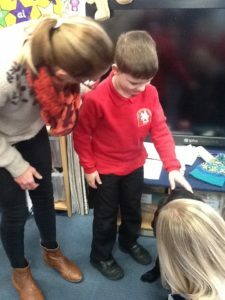 We were lucky, as part of our ‘Aspirations Week’ to have the vets come in and see us! 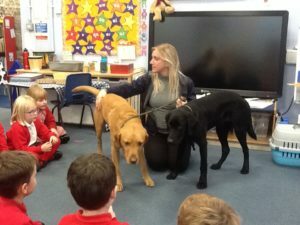 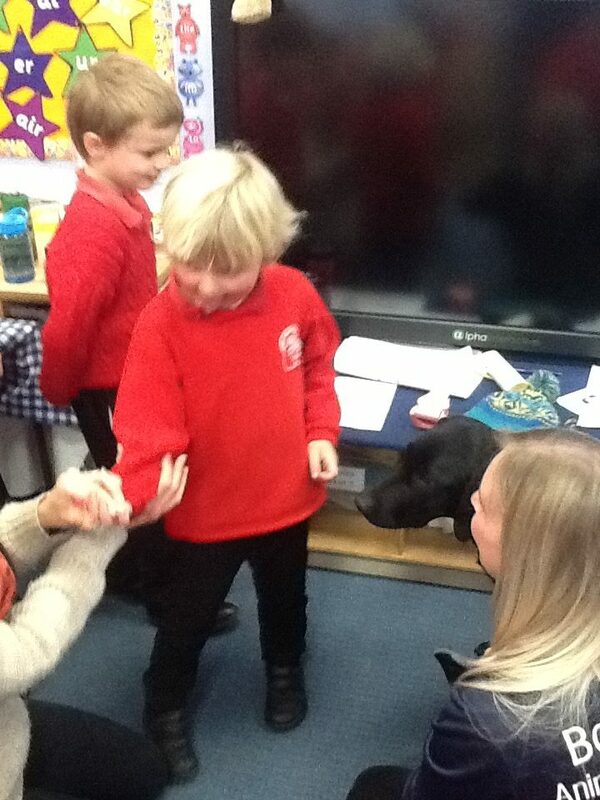 We met the two beautiful Labrador dogs and two guinea pigs as well. 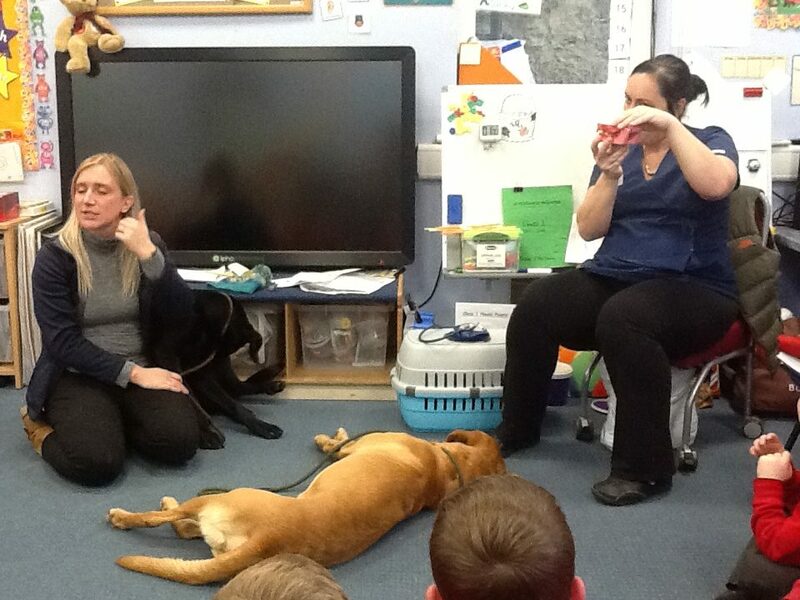 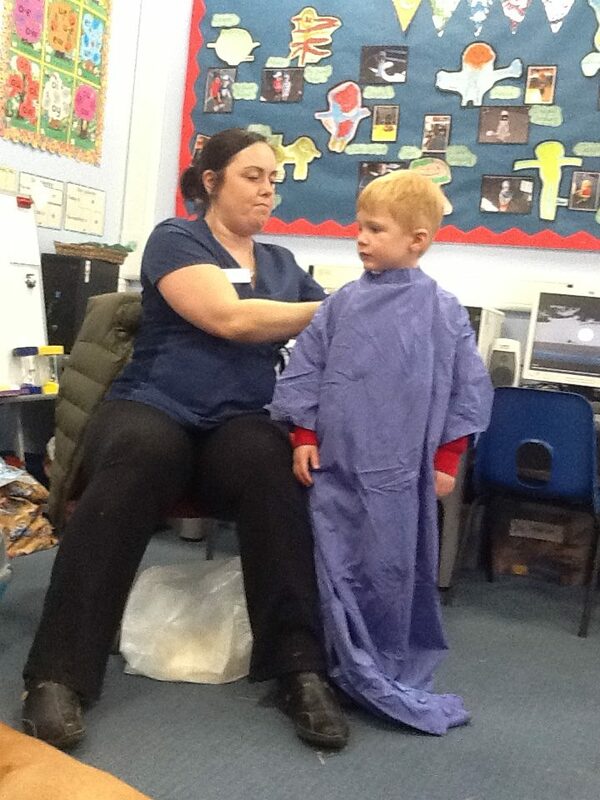 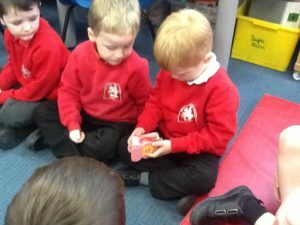 We learned all about what it takes to be a Vet or a Vet’s Nurse. 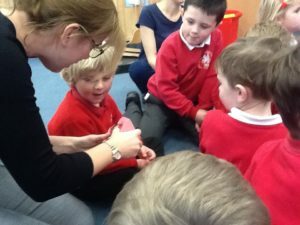 We learned about how to keep all of our pets healthy – including a healthy weight, healthy teeth and keeping them happy. 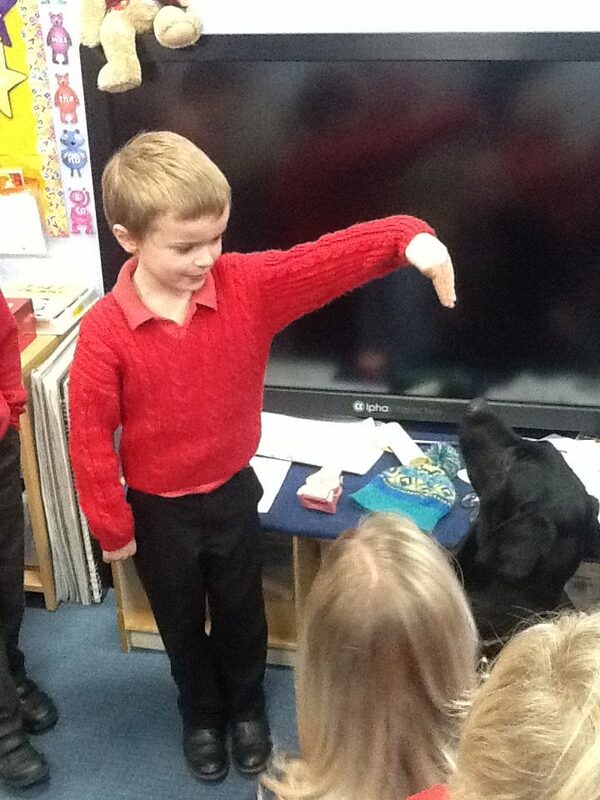 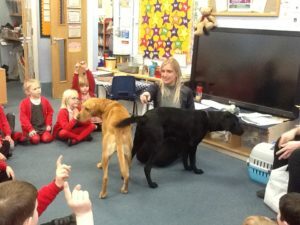 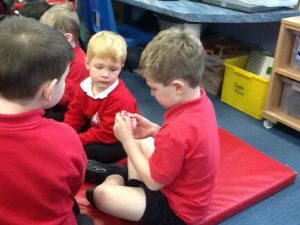 We learned how to ask a dog’s owner if it safe or not to stroke them, also we tried stroking the two dogs with care to make sure we stroked in the direction that their fur was going! 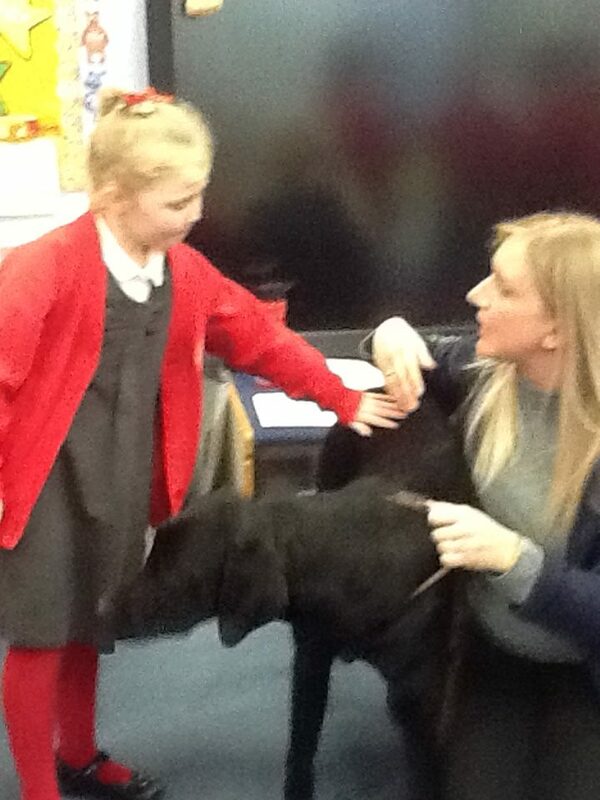 The children behaved brilliantly with all of the animals.